RiverBluff Resort is approximately 35 miles West of Tulsa, Oklahoma using 412/ 64 Highway. Take Cleveland Exit, it will be the last free Exit off of 412 before it turns into the Turnpike. Take 64West/99 North to Cleveland about 10 miles. Stay on 99 North through Main street Cleveland heading North toward Hominy. 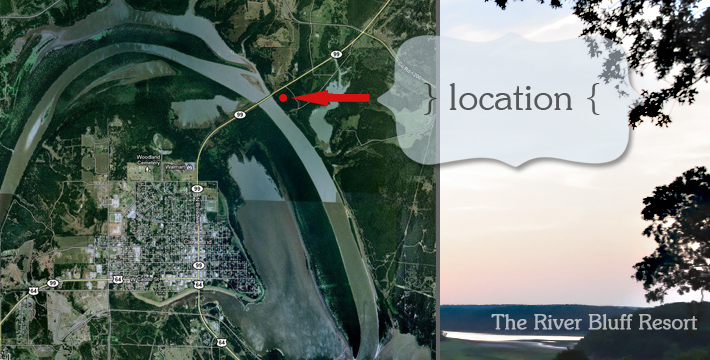 RiverBluff Resort is 1 mile North of Cleveland, Oklahoma on Highway 99 just across the Arkansas River Bridge, we are the First Drive on your Right or East side of the Road past the River. Come See Us. You’ll Be Glad You Did!